Tattooed Steve's Storage Unit of Terror: All About The Storage Unit of Terror. All About The Storage Unit of Terror. Meaning that I have a lot of tattoos on me. I am not in any way a tattoo artist or tattoo shop owner, I have never ever done any kind of tattooing or have ever owned any kind of tattooing equipment or plan on it. I am simply a man that was given the nickname of "Tattooed Steve" by a group of friends. 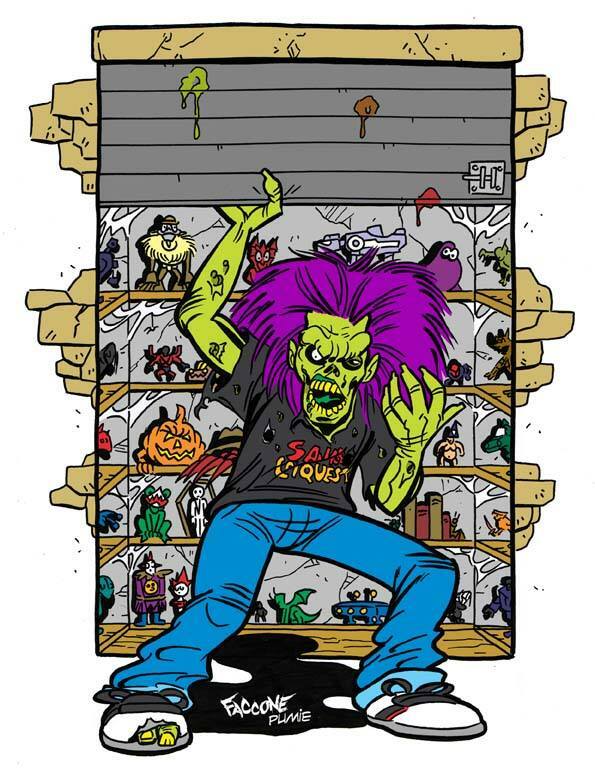 And The Storage Unit of Terror is not a physical building, it's just a place here on the internet that Monster/Horror Fans can visit and have fun. I talk about all kinds of cool stuff that I grew up with in the 70's and my teenage years in the 80's where I got my start and big breaks. I'm all about Indie Horror and can't get enough of any and all of it made by anyone brave enough to get out there and do it. So I try to do my part in supporting Indie Horror by interviewing those involved and giving my thoughts on their movies and creations. And I can't get enough of the creativity of my fellow Horror Fans. Everyone from Repro Artist and Cos Players to Garage Kit Model Builders, Photographers, Musicians and Classic Artist are featured from time to time here too. On top of that I try to help other artist as much as I can with navigating the Horror Filled Maze of Entertainment. If they are Indie Horror Movie Makers, F/X Artist, Costumers, Fabricators, Writers, Musicians, Actors, Actresses, Comic Book Artist or anything else you can think of I want to help them find the right paperwork for their protection. Or just simple bits of advice to keep them from getting new scars to point to and have a story for. I've been fortunate enough to have had the opportunities to work on countless movie shoots, at a Professional Costume/Magic Shop, a professional Haunted Attraction and Sideshow. And now have been involved in recent productions as a prop builder and actor once again. So now I have those experiences to share as well.